Notice! Botanik Resort Hotel does not accept reservations at this time. Please try again later. Botanik Resort Hotel Contact. KEMER BOTANIK Resort Hotel opened in May 2014. This facility; 102 standard rooms, 1 guest room with physical disabilities and 5 bungalow houses on the beach, all prepared with the comfort of their guests in mind. The main restaurant and the Snack Restaurant located on the beach will be at the service of the palate of the pancake corner in the pool area. Especially for the guests who desire, a'la Carte menus are waiting for the guests who offer the exquisite taste and delicacies of seafood. For those who do not want to limit the holiday only to the sea and the sun; Game Room, Table Tennis, Billiard Room, Internet Café, Fitness Center, Sauna-Hamam and Welness Center for a healthy life. The facility, which is open to any kind of development, aims to bring a different color to the region with this sense of service and quality of life. Botanik Resort Hotel accepts VISA and reserves the right to temporarily hold an amount prior to arrival. Botanik Resort Hotel accepts Master Card and reserves the right to temporarily hold an amount prior to arrival. Botanik Resort Hotel accepts Maestro and reserves the right to temporarily hold an amount prior to arrival. Botanik Resort Hotel accepts Bank card and reserves the right to temporarily hold an amount prior to arrival. Botanik Resort Hotel accepts ATM card and reserves the right to temporarily hold an amount prior to arrival. The facility is built on an area of ​​6000 m2 and consists of a 4-storey main building. Outdoor indoor restaurant, game room, outdoor swimming pool, children pool are available. There are 102 standard, 1 disabled room and 5 bungalow houses on the beach. Std rooms can accommodate up to 2 + 1 stays. The rooms are covered with tiles and the air-conditioning center is split. There is a minibar (minibar is checked every day). In addition there is a safe (charge), telephone & fax, bathroom (shower cabin) and balcony. The facility is 100 meters from the sea. There are 1 outdoor pool and 1 child pool. The hotel has its own 120 meter long beach. Tesiste fitness center, aerobics, table tennis, gymnastics, darts, hammam & sauna, internet, billiards, water games are available. Billiards, beach towel, massage, paid services. Fitness center, aerobics, table tennis, gymnastics, darts, hammam & sauna, free services. The hours of the pools may vary depending on the weather. The hotel plaja is in a zero position. One night a la carte restaurants are closed in Turkish night or gala night. In rainy weather a la carte restaurants are closed. Outside pools, tennis courts, slides, theme parks are being used jointly with Botanic Platinum guests. The pier and all the outdoors serve according to weather conditions. Access to the Botanik Hotel & Resort rooms starts at 14.00. The departure time from the rooms is no later than 12.00. Pets are not allowed. The use of outdoor open spaces is subject to seasonal conditions. All Inclusive accommodation on premises starts with an evening meal, includes dinner until the number of nights stayed, and ends on the morning of departure with breakfast. This Hotel Summer 2011 is Summer Voucher. Хорошее расположение, вежливый и внимательный персонал, почти все могут понять и объясниться на русском. По поводу питания читал разные отзывы... кому то нужен кусок свинины в мусульманской стране??? кто то питается так как Киркоров костюмы меняет, да таким точно тут делать не чего. От себя скажу — питание разнообразное, вкусно приготовлено и всегда из свежих продуктов. Пляж хороший и не далеко от отеля. Делал курс массажа микс — очень понравилось, впрочем как и все остальное. Botanik Resort Hotel only for adults! Room decoration, fruit basket and wine are served. 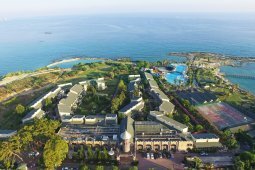 Other: The facility is located in Antalya Kemer. 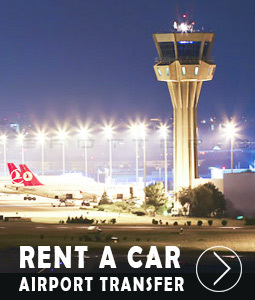 Distance to Kemer city center 1 km, Distance to Antalya city center 45 km, distance to Antalya Airport 55 km. Distance to the sea: 100 m.